Success for the International Meeting in Italy organized by ICSPWI! In the next days the ICSPWI meeting official declaration will be issued. Lal salaam to PCI (Maoist) ! Comrades, people of India you are not alone! Long live people’s war in India! A large and representative participation from different countries in the world ! A High internationalist unity in the support to people’s war and CPI(Maoist) ! A new international day of support people’s war in India has been decided! The organisation of the International delegation to India advances ! Warmest revolutionary greetings and heartfelt Lal Salam from the CPI (Maoist) and the People’s Liberation Guerrilla Army (PLGA), Revolutionary People’s Committees (RPCs), Revolutionary Mass Organisations and revolutionary people of India, it leads. 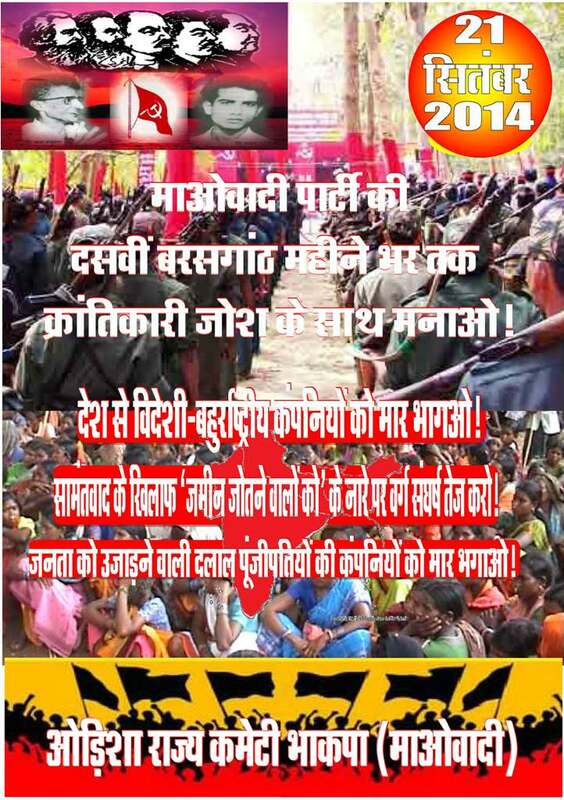 Condemn the new crime of Modi’s Brahamanist Hindu Fascist and pro-imperialist Regime! 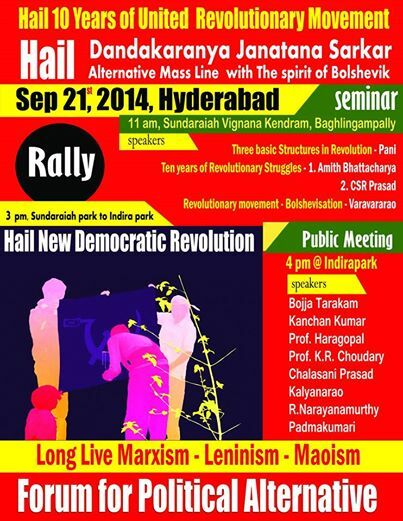 Urgent international solidarity needed againt the mass arrests and repression in Hyderabad! The ICSPWI condemnd this new crime of Modi’s Brahamanist Hindu Fascist and pro-imperialist regime against every kind of political opposition in India. ICSPWI demands immediate release of the activists arrested. India today is a “prison-house of mass people’s movements’. It needs the maximum solidarity movement in the world. ICSPWI calls for the international campaign for an International Delegation to India! 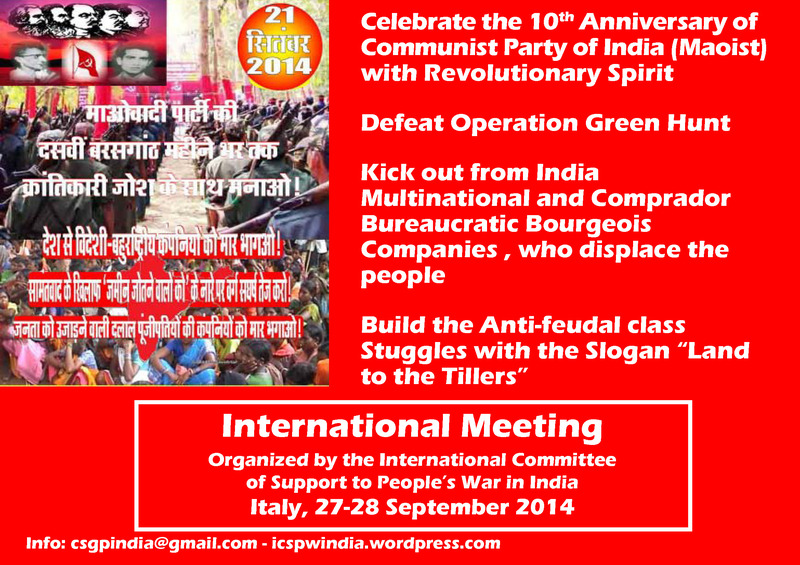 ICSPWI calls to support the 10th anniversary CPI(Maoist) celebration – Italy 27-28 September. Everyone has to make his decision, whether support people’s war in India or silence and absence pro-imperialism and pro-Indian regime! 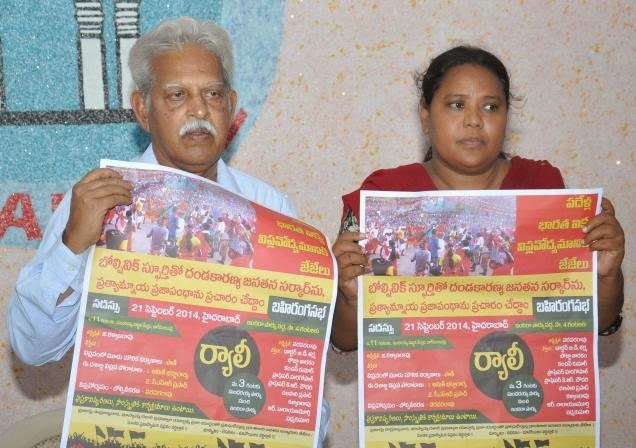 Hyderabad: Police here Sunday stopped Pratyamnaya Rajakeeya Vedika (Forum for Political Alternative) from holding a meeting, saying it’s a frontal organisation of a banned Maoist Party, and arrested its leaders and activists. Police arrested about 50 leaders and activists of the forum as they reached Sundarayya Vignana Kendram in Baghlingampalli to attend the meeting called to mark 10 years of united revolutionary movement. 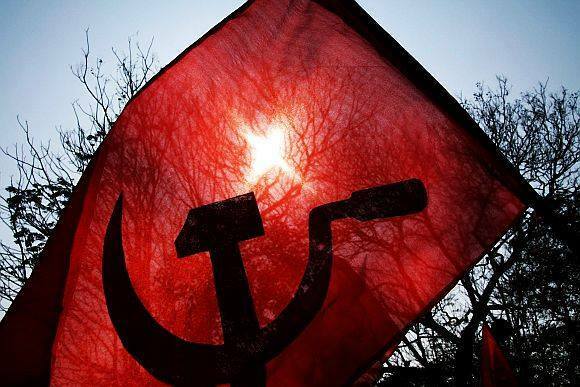 A Call To the People of India from the Communist Party of India (Maoist) on the occasion of its 10th founding anniversary. Shatter the shackles of imperialism and feudalism, Destroy this rotten system ! Build your future and that of the country with your own hands ! 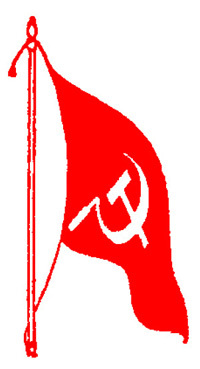 Warmest greetings to you from the Communist Party of India (Maoist) on the occasion of its 10th founding anniversary. As part of the activity of support, ICSPWI made the decision to organize a 2nd International Conference for the 10th anniversary of CPI(Maoist). After a careful assessment, the comrades said that it is not possible now. Then we decided to organize in September in Italy a different kind of Conference, a conference for delegates, not for mass delegations as the Conference in Hamburg. As suggested by some comrades, we decided to not call this event Conference but International Meeting. All together support International Delegation to India ! The first goal of international delegation is to meet the challenge by the Indian regime and launch on turn our challenge. Imperialism and Indian regime attacked the ICSPWI and all the international solidarity with People’s War, urging the European governments to put an end to its activities, we will respond continuing and intensifying the actions in each country and, internationally, rising the stake with the challenge of the Delegation. The Delegation will be there to expose all crimes of Indian regime and demand to put an end to them. It will demand the release of GN Saibaba and all other people’s political prisoners. It will demand the respect of all people’s rights: for workers, peasants, women, adivasis, dalits, strdents, progressive scholars and intellectuals. 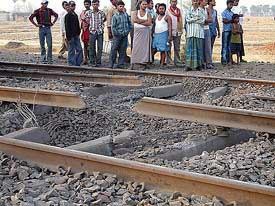 It will demand political freedoms for all the oppositions, including the Maoists. International delegation collects representatives from about 10 countries in a mix of well known personalities in the world of democrats and solidarity and social, mainly, and political, internationalist activists well known to the masses and committed in the campaigns of support and solidarity. 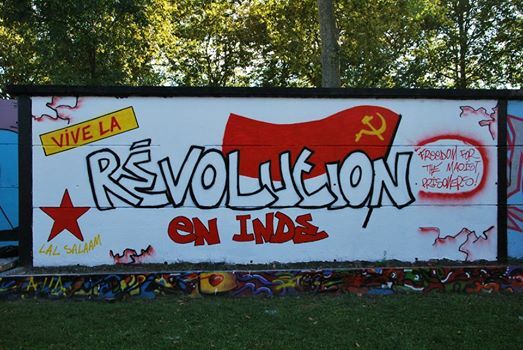 In India there is now a revolutionary process of liberation of the oppressed classes, led by a genuine communist revolutionary, very hopeful for the proletariat and the oppressed around the world.